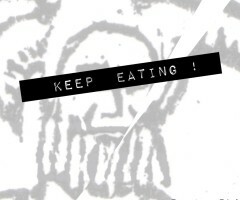 Keep Eating! was engineered and mixed by Dan in the summer of 2014 at the White Rooms Studio and mastered by the astonishingly talented Tom Drinkwater. 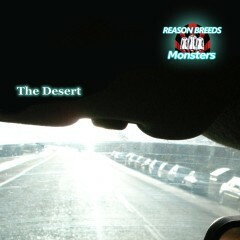 In 2013 we released the 4-track EP "The Desert". You can buy it in any downloadable format you might care for from our Bandcamp site. Or listen to it here. 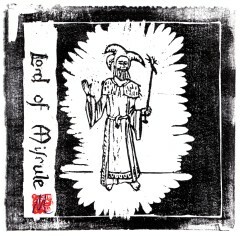 Our first single, "Lord of Misrule" is also available. You can buy it in any downloadable format you might care for from our Bandcamp site. Or listen to it here. You can buy the actual physical objects from us at any gig. Normally £5 each or £8 for the pair, or whatever we reckon at the time. Less if you're a student, unemployed, an anarchist, an anti-cuts campaigner or if we can think of any other good reason. Both CDs are Creative Commons (non-copyright) - the music can be reproduced and distributed freely for non-commercial purposes provided attribution is given. That's called an "Attribution-NonCommercial-ShareAlike" license, and it's the same license that applies to this website. More about Creative Commons licenses. We also have some really old "Atheist Advent" demos on the Bandcamp site.